The radio-taxi service is active on the municipalities of Rimini and neighboring 24-hour 24, 365 days a year. You access this service by phoning +39 0541 50020 One of our operators will answer and, thanks to a satellite tracking system, in every moment he knows the exact location of all taxis in service. In this way we can quickly send the nearest taxi to the address of the person who has requested it, substantially reduces the waiting time. You can also book the taxi for the day following the call. During the night, the Radio-Taxi service is operated by a computerized system fully automatic and following a voice-guide, You can take a taxi. 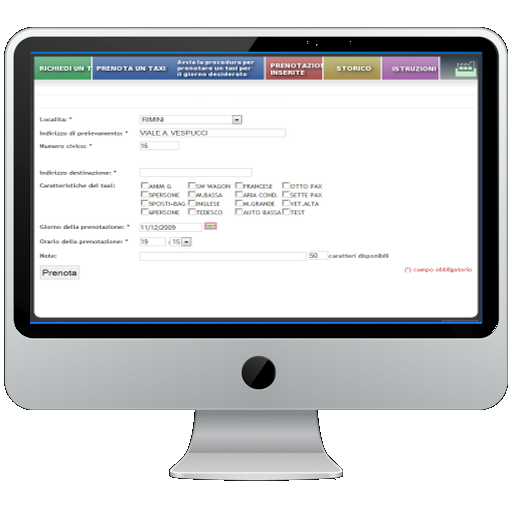 This procedure allows also to know the number of the taxi booked and the waiting time. 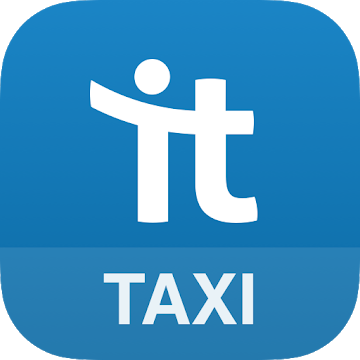 Cooperativa Taxi Rimini area in order to improve its service takes into account all the needs of its customers. For this reason, in fact, you can request specific vehicles such as station wagon or Vans (Large cargo space - Luggage bulky) or cars with 5, 6 or 8 passengers. We do not only today but for the whole year! 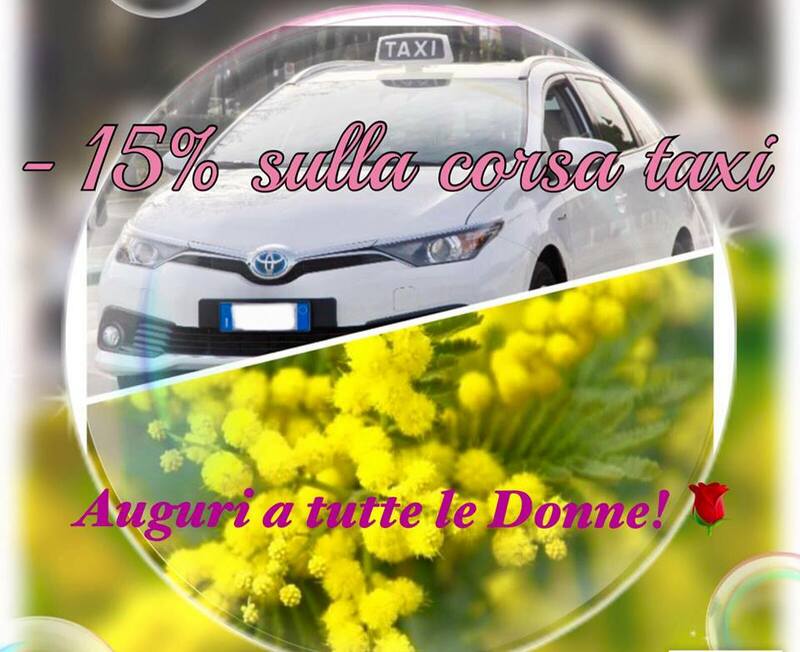 We celebrate March 8th with all women inaugurating 'Pink Taxi' , a 15% discount on the final price of the race for all single and unaccompanied women who will take a taxi at night from 22:00 to 06:00. 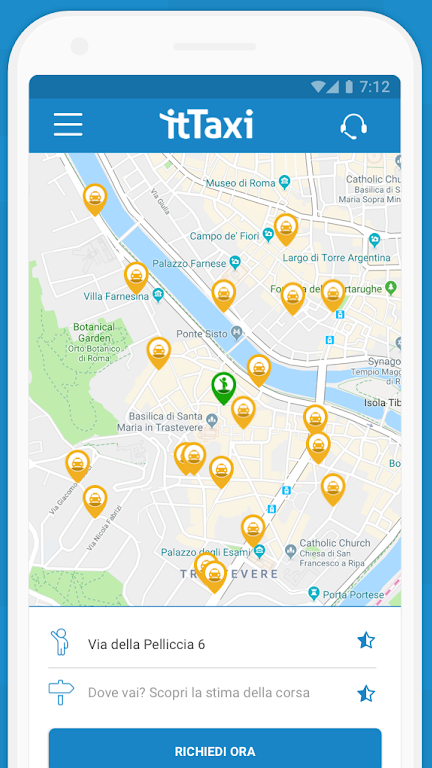 The innovative and free APP for Android and iPhone, allowing you to call a taxi in the major Italian cities without expectations will telephone charges. EASY CALL no additional charge is a service of car-taxi booking. Calling our +39 0541 50020 from a landline the "System" potra match the phone number caller the address of the same.